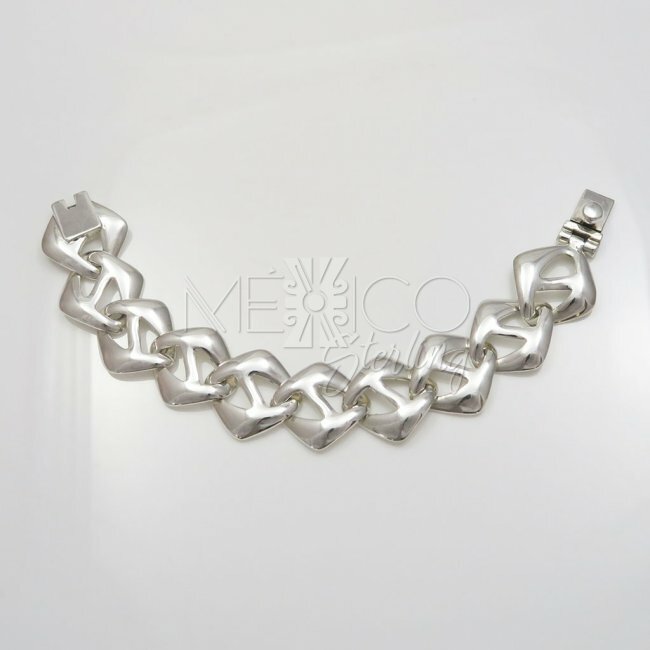 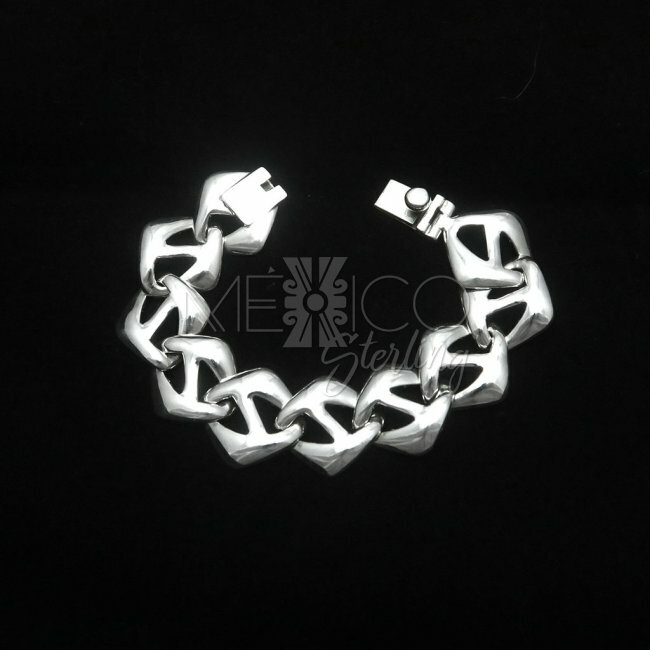 Taxco Silver Geometric Illusion Bracelet [BR3391] - $160.00 : Mexico Sterling Silver Jewelry, Proundly from Mexico to the world. 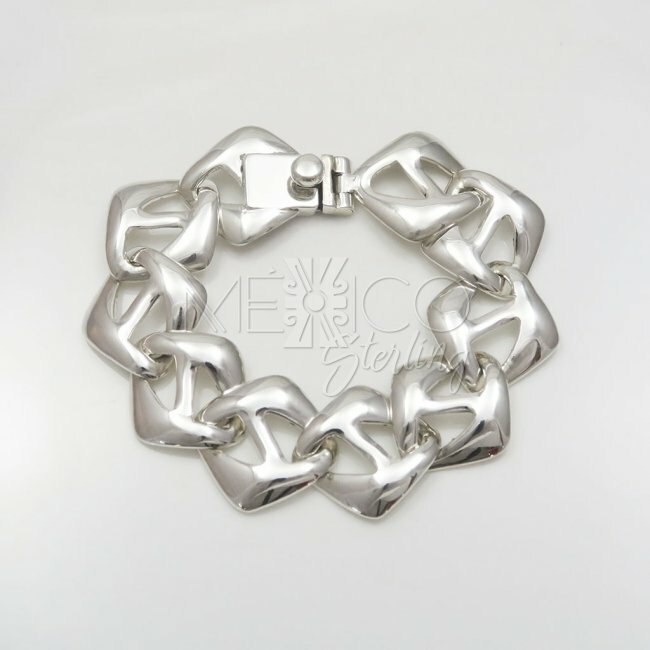 Dimensions: W: 1" L: 8" Inside Circumference: 7 3/4"
Modernist silver bracelet with a very interesting geometric composition that sets this silver piece for people with a more bold or contemporary taste. 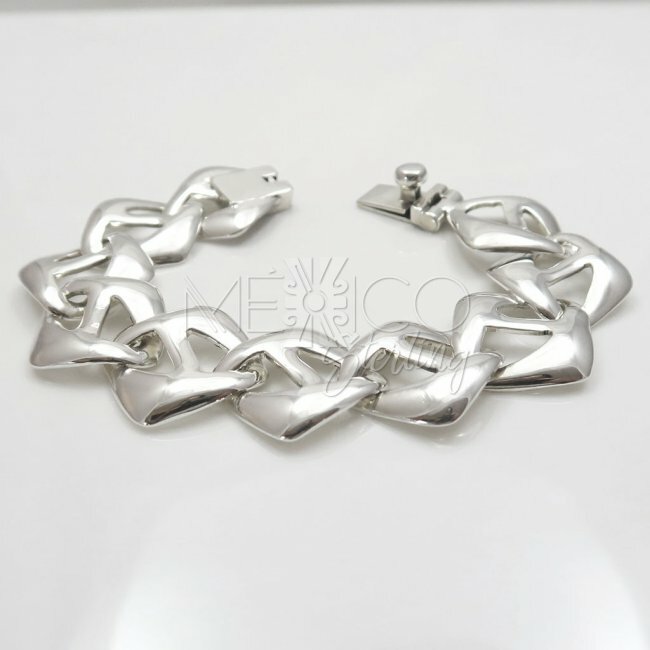 It is a handmade bracelet with nice workmanship and finish. 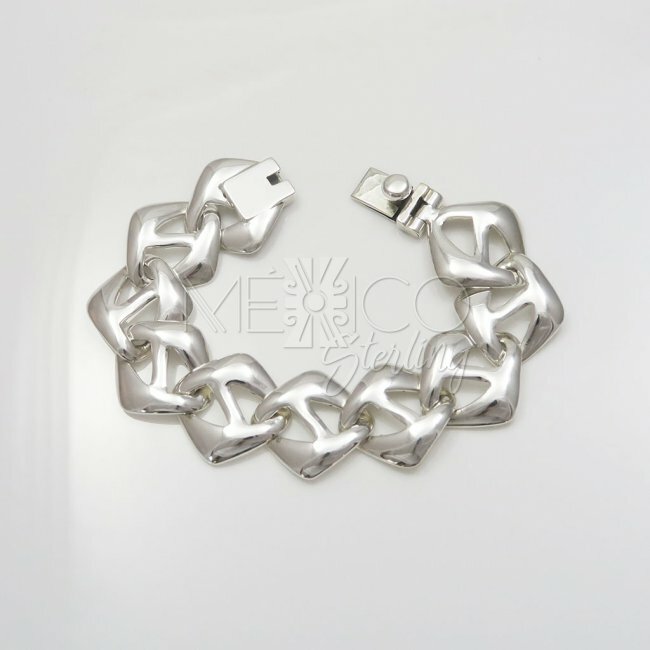 It is a perfect addition for a clean casual or relatively formal look. 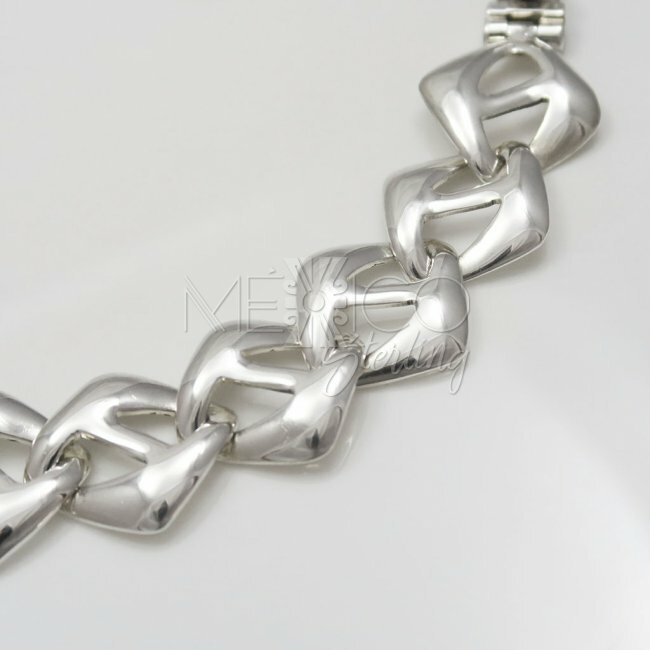 It is also a sturdy piece with a substantial weight for its built. 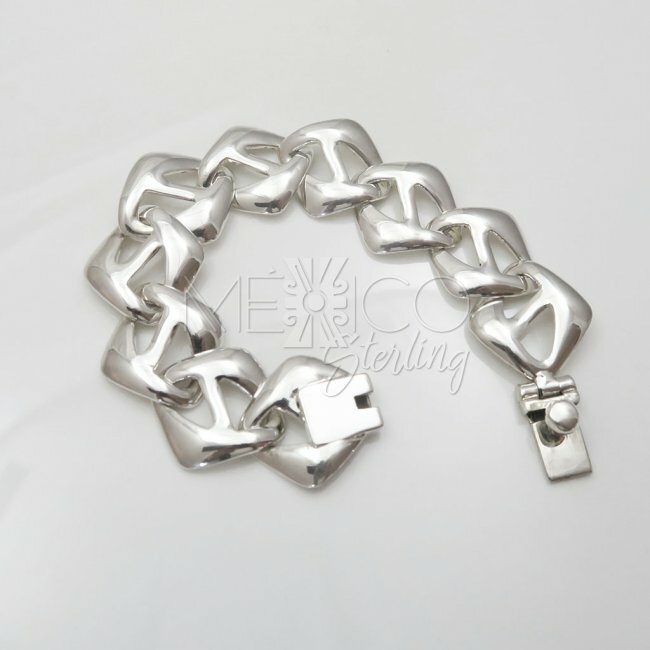 If you need this silver bracelet in a shorter or longer length, please let us know, we can help. 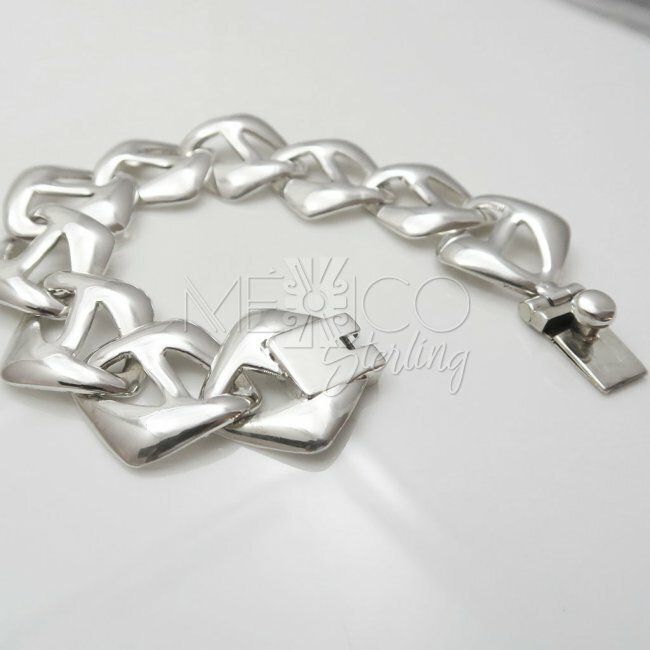 Take a look at the extra photos, for more details on this nice silver piece of jewelry.